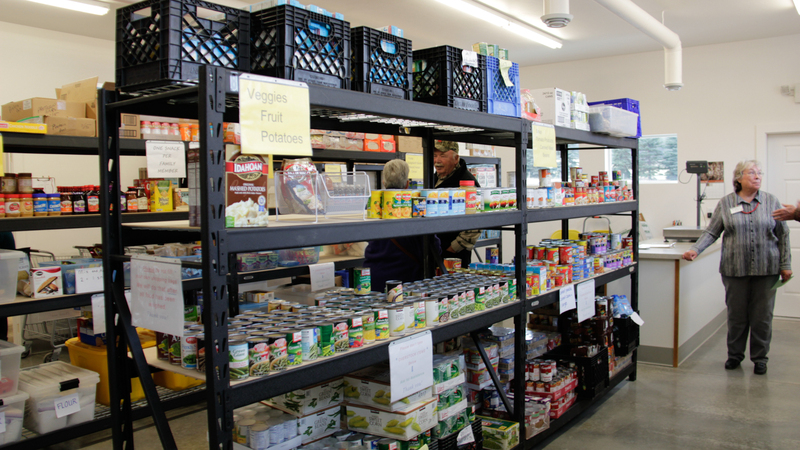 Neighbors helping neighbors – The Bigfork Food Bank has served the Bigfork Community since 1983. Clients may visit the food bank twice a month. We are open most Tuesdays. An amazing team of volunteers runs our facility. Are you interested in helping? Stop by during our office hours or call (406) 837-0360 or (406) 250-4546. Both perishable and nonperishable foods are distributed. 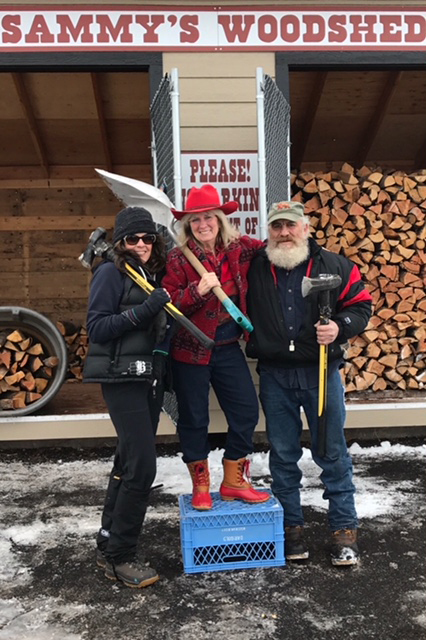 Bigfork is the only food bank in the state that provides wood for clients. All wood and labor are donated. 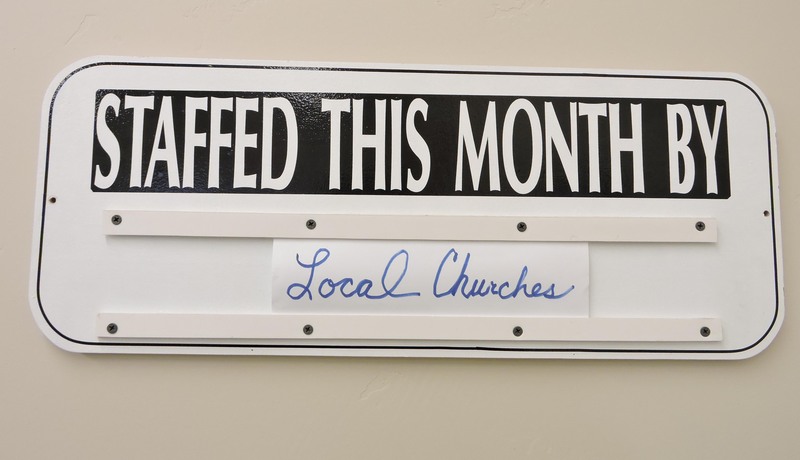 Local churches take turns providing volunteer assistance to the Bigfork Food Bank. In operation since 1983, the Bigfork Food Bank distributes both donated and purchased food to more than 190 families in the Bigfork area. As a nonprofit, tax exempt, all volunteer organization, its goal is to provide basic nutritional support to those in need. Families whose average income falls below 150% of the Federal Poverty Guidelines are eligible for food bank assistance. The food bank is supported entirely by community donations; it receives no funding from government agencies or United Way. 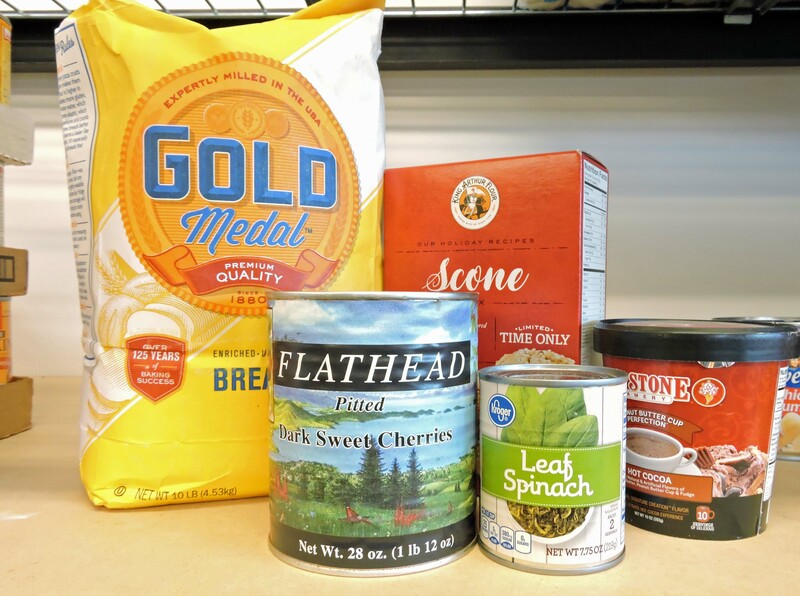 Generally, the Bigfork Food Bank is open the first and third Tuesdays of the month from 4PM to 6PM; and the second and fourth Tuesdays of the month from 9AM to 1PM. The food bank is closed on fifth Tuesdays. Special schedules serve holiday clients in November and December. For details, see the calendar. The Bigfork Food Bank depends on volunteers and community donations. There is no funding from state or local governments. The Bigfork Food Bank has no paid staff positions. 100% of all donations go directly to the operations and distribution of food. The Bigfork Food Bank distributed nearly 44 tons of food to Bigfork area clients in 2017. 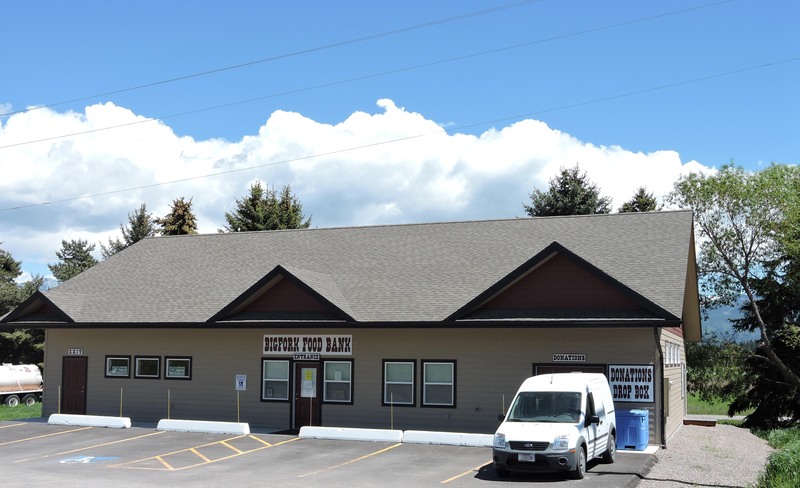 The Bigfork Food Bank serves approximately 190 families annually. 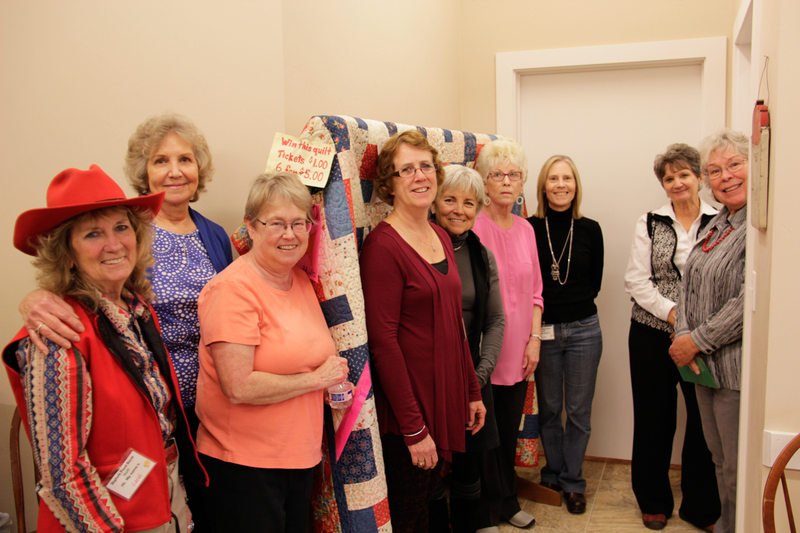 Volunteers donate approximately 5000 hours of labor annually. You can help us continue to assist needy families. We are now accepting online donations to make giving to your neighbors even easier, or use our handy printable form for sending in checks and money orders. Your donation is tax deductible. The snow is melting! Our parking lot is slowly reappearing! Today we served 35 families (70 individuals) and distributed 1,871 pounds of food. Needless to say, the volunteers from Crossroads worked really hard! Last Tuesday night we had 14 families (36 individuals) and distributed 1,124 pounds. 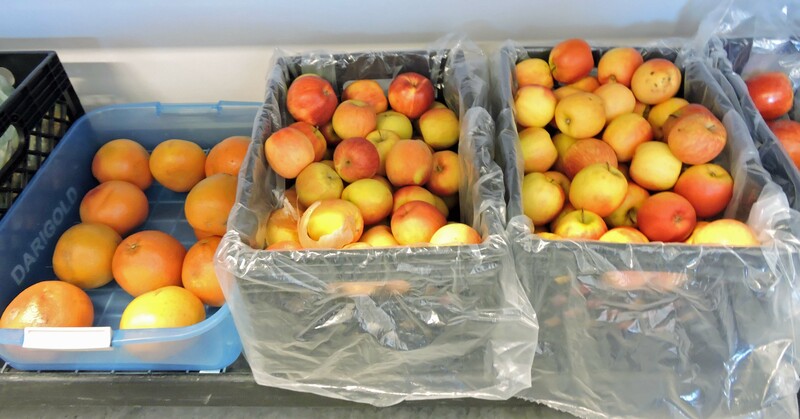 We were blessed with lots and lots of produce that we were able to share with our clients! March is over!!! The snow is melting!! Life is good!! Today we served 38 families (84 individuals) and distributed 2,360 pounds of food. The ladies of Bigfork Baptist were busy indeed! Last Tuesday evening we served 18 families (47 individuals) and distributed 922 pounds.